WHO (World Health Organization) has actively developed the intervention project for aging frailty regarding issues on geriatrics care. In view of this, Health Promotion Administration suggested in the White Paper on National Health Policy 2020 that the aim of prevention for the aging-associated disease is the prevention of disability for active aging, in which stated that one of the 5 major strategies is the prevention of frailty and disability in aging. Co-morbidity relationship exists between frailty and physical fitness, therefore it is important and necessary to make objective assessments on the physical fitness of the older people in order to establish an optimal assessment index for frailty in a fast, correct and efficient way. A small package contains 200 stamp sheets and a color separation paper is placed between every 100 sheets. The lining consists of two pieces of gray cardboard, one on the top and one below, weighing more than 32 ounces (Acceptance Article no. 5). The middle part should be wrapped up with a waterproof oiled paper, and then again packed with a kraft paper. The seal of the package should specify the description, the bar code (Code 128 Type B), the denomination, the number of pieces, the total amount, and also the date and signature of the staffs that checked and sealed the package. The two ends of the small package should be labeled by its description (each style in different color), denomination, the number of the pieces and the total amount, This label should be put on the same corner as the number of that triangular label that is printed inside. Experience Years of translation experience: 12. Registered at ProZ.com: Mar 2017. 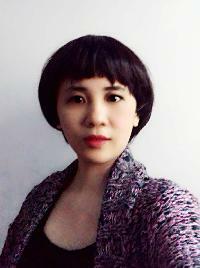 I am native Taiwanese, grew up in South America and had been living in several countries. I like writing and translating. Therefore I have been working on translations for many years.